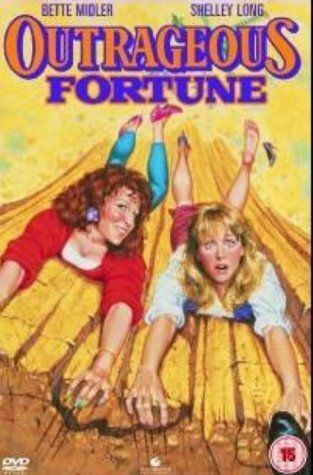 Outrageous Fortune is a 1987 American comedy film written by Leslie Dixon, directed by Arthur Hiller and starring Shelley Long and Bette Midler. The title is taken from Shakespeare's Hamlet ("...the slings and arrows of outrageous fortune..."). When Lauren and Sandy finally find Michael, he tries to kill both of them and they are forced to run until they are captured by the federal agents. Lauren and Sandy learn that Michael is a double agent for the CIA who has now gone rogue, also working for the KGB, and that he has stolen a toxin that could destroy huge areas of nature with just a few drops. The CIA wants to find Michael to force him to give back the toxin bio-weapon, while the Russian assassins are men cheated by the double agent who work for Korzenowski, their theatre professor. The chase leads to rural New Mexico when Lauren is taken hostage by Michael and his rogue associates who force a trade with the CIA for the toxin, and with Korzenowski with the stolen cash he intended to give to Michael. When the trade goes awry, Lauren gets away with both the money and the toxin, with Michael in hot pursuit. 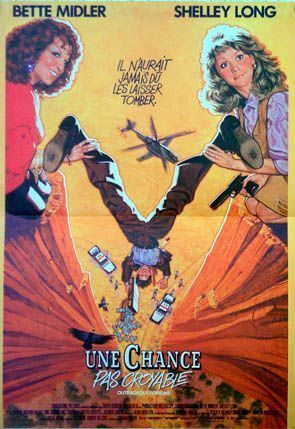 Cornered on a series of mountain tops, Lauren uses her former ballet skills to evade him, culminating in a grand jeté, as pursuing Michael slips and is presumably killed on the rocks far below while the money is lost to Native Americans. The women form a lasting friendship, and go on to perform Hamlet together, with Lauren in the title role and Sandy as Ophelia. 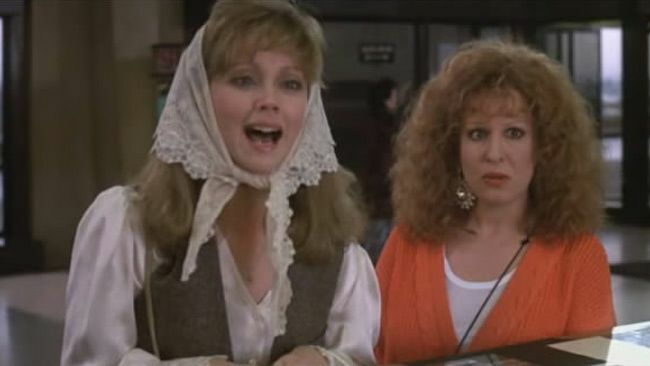 Both Shelley Long and Bette Midler were promised top billing when they signed to do the film; however, neither was willing to give up top billing to the other. To compromise, Long received top billing in advertising west of the Mississippi River, and Midler received the honor in the east. This agreement extended through the original LaserDisc and VHS release of the title, with discs shipped to retailers in the west featuring Shelley Long and retailers on the east receiving discs featuring Bette Midler. 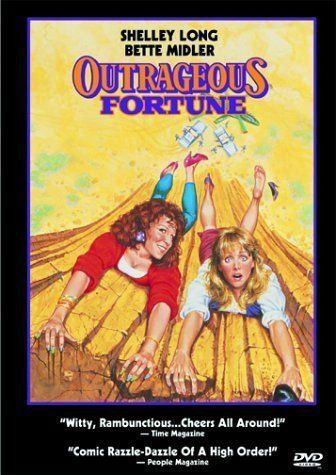 Suzanne Somers has said that Michael Eisner offered her a three-movie deal with Disney which included Outrageous Fortune, but she turned it down. She would have played Bette Midler's part. The movie received mixed reviews from critics. It currently holds a 50% rating on review aggregator Rotten Tomatoes, based on 20 reviews, indicating a lukewarm response. For her performance, Midler received a Golden Globe nomination. 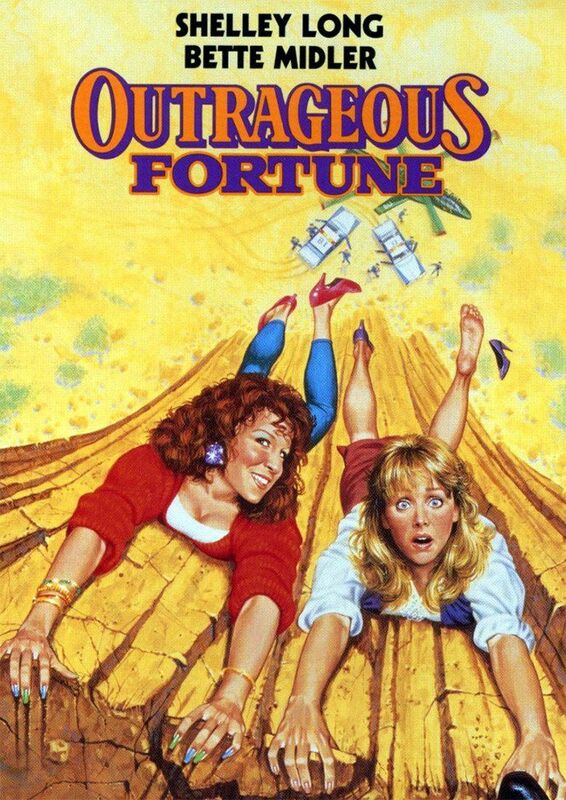 Outrageous Fortune was financially successful, debuting at No. 2 domestically, and bringing in $52,864,741 in the US.